Juanjo Cerrajeros will participate from the 17th to the 19th of November at the 40th edition of FIRAUTO, the most important Automobile Fair in the province. During these days (10:30 a.m. to 9:00 p.m.), the Alicante fairgrounds will become the largest automobile exhibition in the province of Alicante, where you can find new and used vehicles, Km 0, products and services for the driver, car key copies and car key controls, car keys repair, financing services, insurance companies, etc. 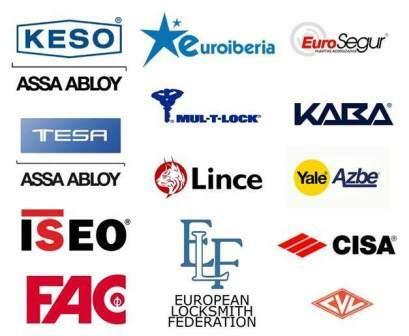 From Juanjo Cerrajeros we are going to carry out a campaign of fair, with 10 € of direct discount in the purchase or repair of a car key of your car, motorcycle, truck or vehicle. We will also make a drawing of a gift voucher valued in € 200 on products of all kinds purchased in our store Juanjo Cerrajeros in Playa de San Juan. Fill in our stand a small form and use your check on purchases such as armored doors, safes, security locks, keys and car controls, cylinders and protective shields of high security or wifi peephole with alarm, or other of our multiple products security. Come to Firauto, come by our booth 106 and enjoy our discounts and prizes.